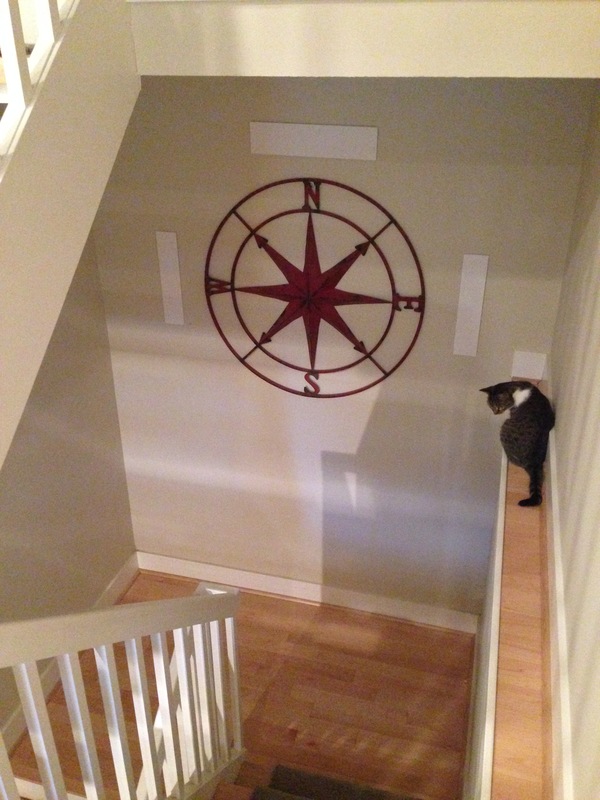 Stairwell leading down to the finished basement. Two side sconces or one top sconce? The downstairs landing which could use some light. 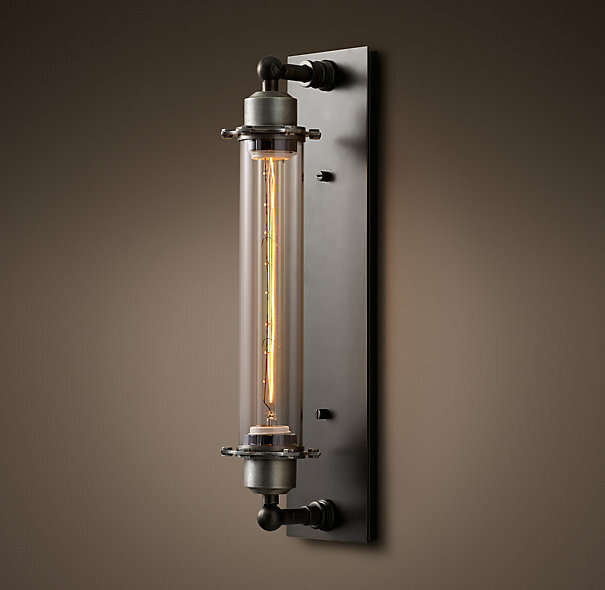 Grand Edison Caged Sconce from RH. 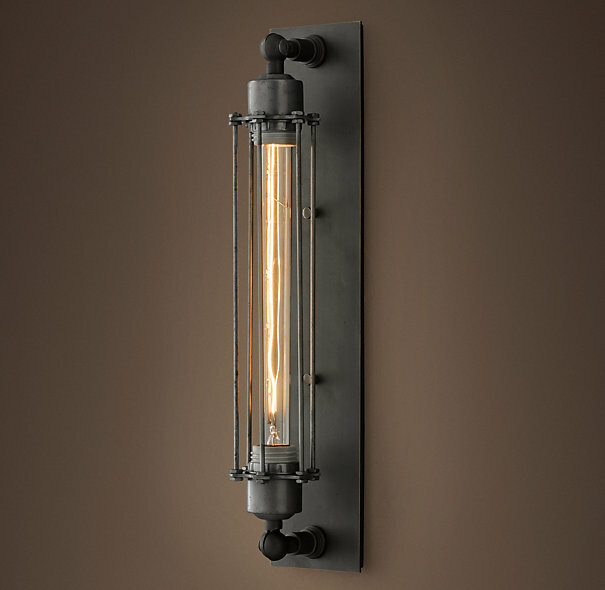 Grand Edison Caged Double Inline Sconce for over the top. What style? Caged sconce (see above) or one of these variations? Also, the single side sconces could be mounted horizontally so we could do this style instead of a double. Let me know your thoughts ASAP! 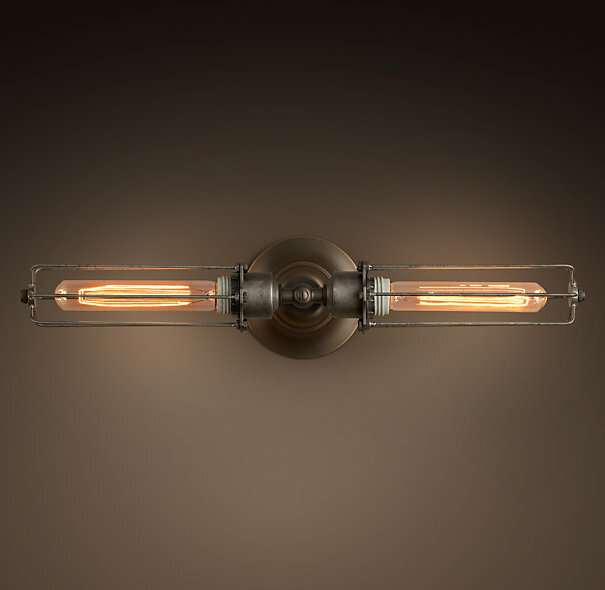 LOVE these… my choice is based on preferring a shielded bulb – so the one with the holes. two on the side or one over top? hmmm… one on either side I think. If that will do the illumination job you need it to do. 1} 2 sconces in Grand Edison Caged Sconce from RH. 2} 1 sconces in Grand Edison Caged Double Inline Sconce. We have something similar to the latter over our bathroom mirror, so I am partial to that choice. However, in a stairwell you need all the light that you can get, so I think in this case, the more lighting, the merrier!